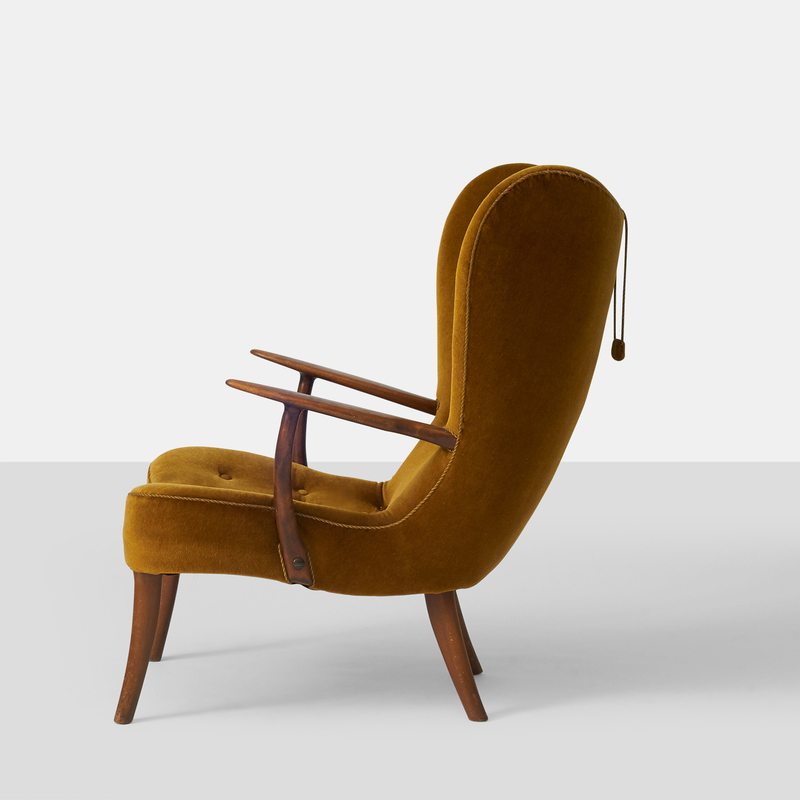 Acton Schubell and Ib Madsen Lounge Chair. 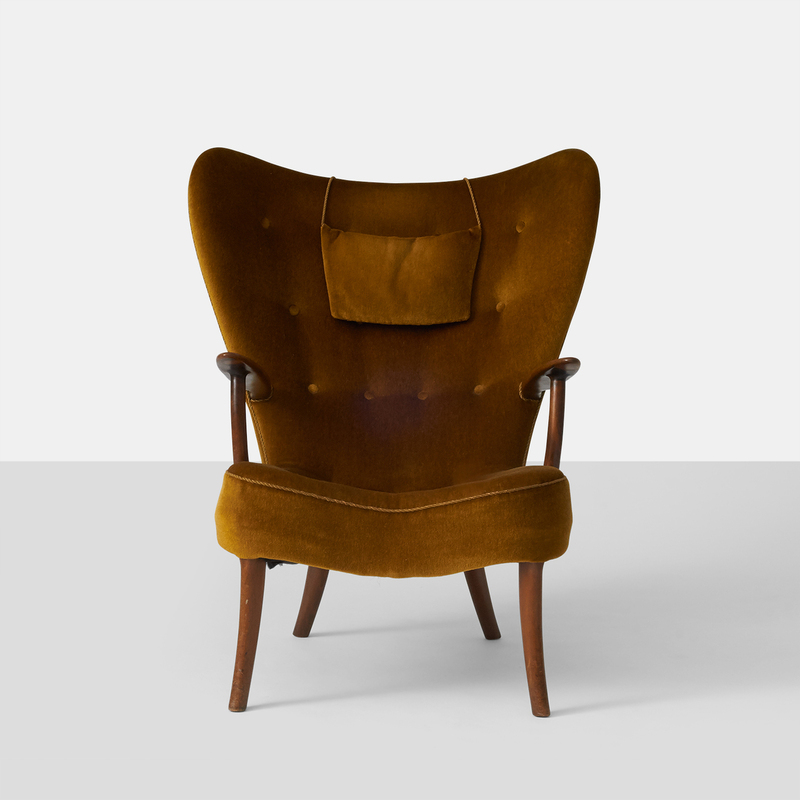 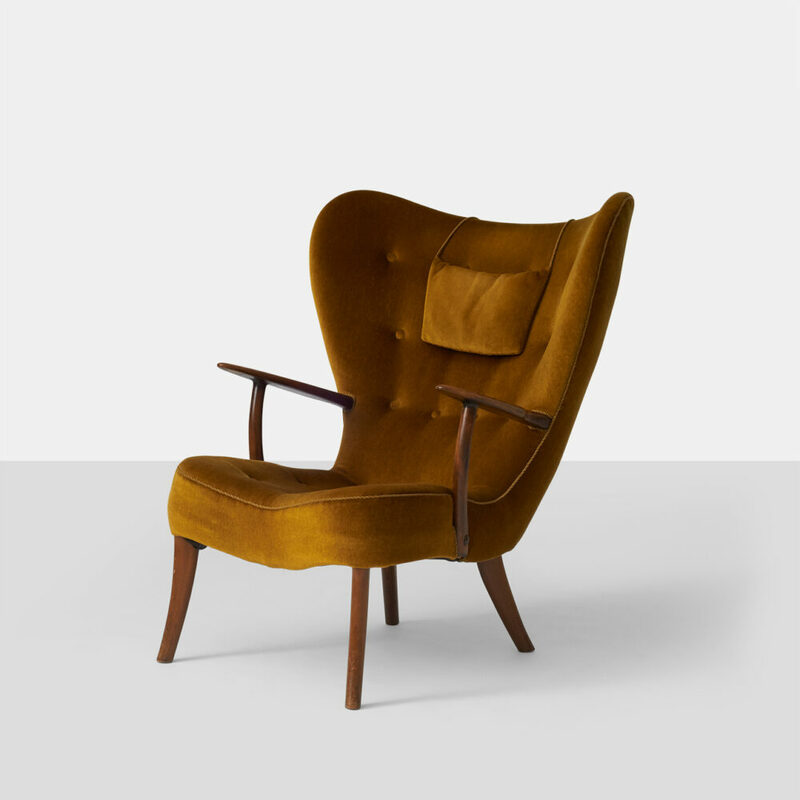 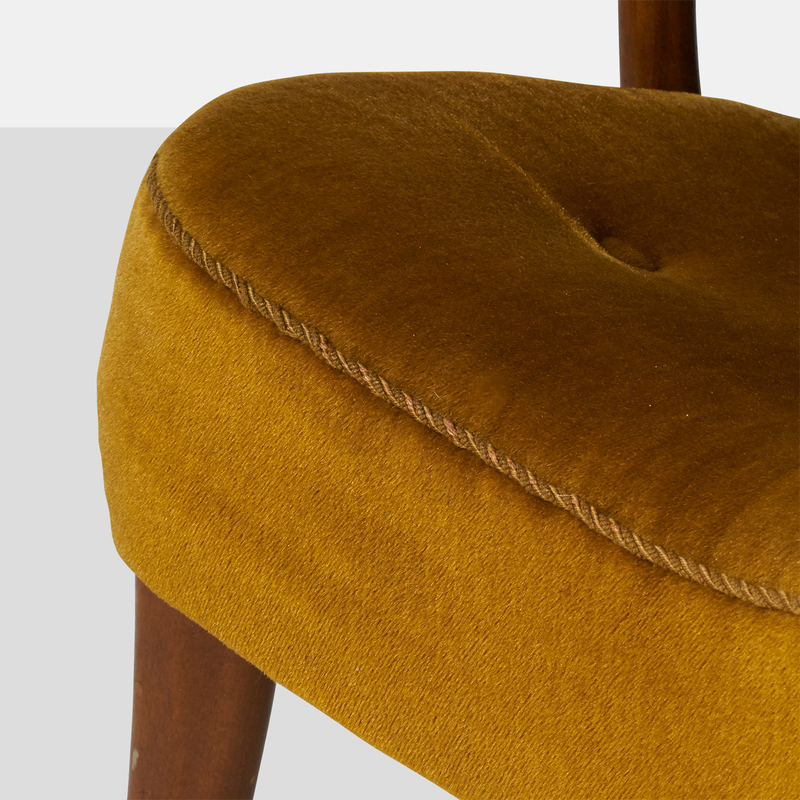 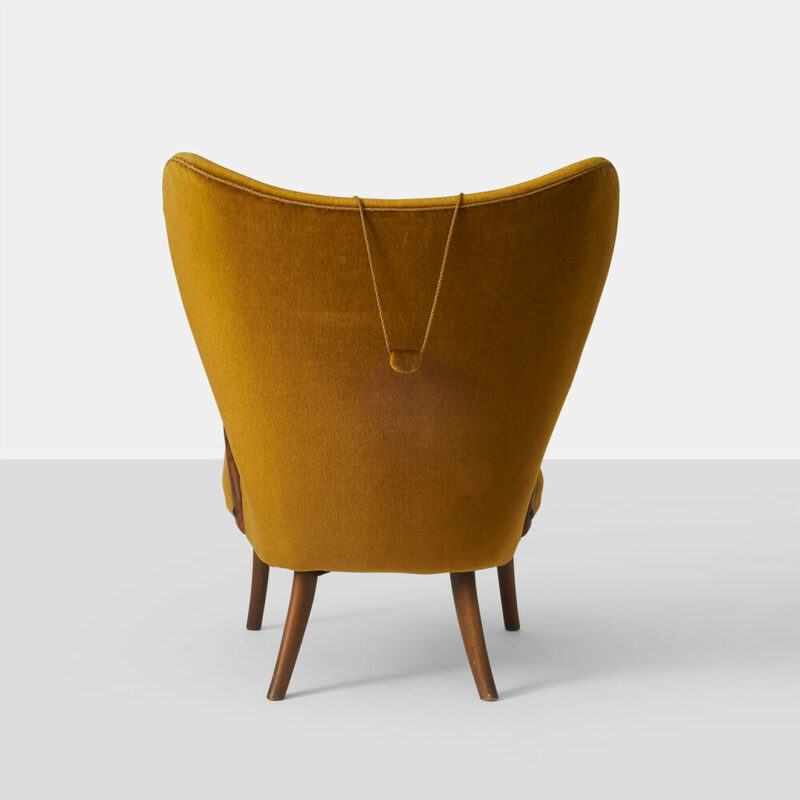 A lounge chair by Acton Schubell and Ib Madsen with legs of stained beech, upholstered in a deep gold velvet and button tufted. 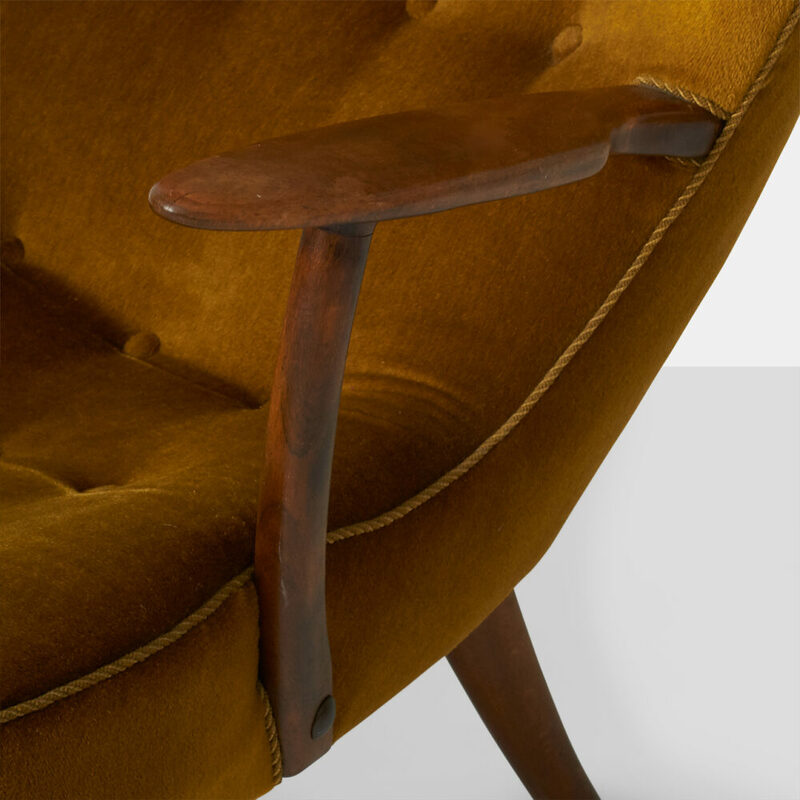 Open wood arms.